As I mentioned in my article last week, market junkies were expecting to see that 74,000 people joined the job market in August. 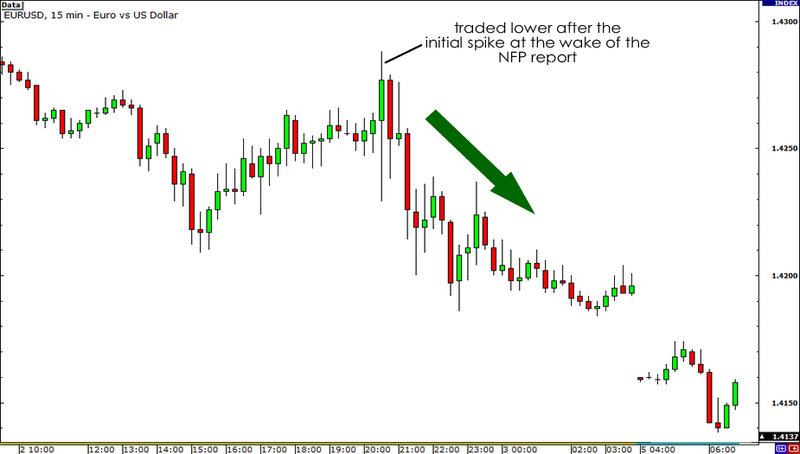 However, the NFP report tanked big time and printed a BIG FAT ZERO figure. Consequently, the unemployment rate remained around its highs at 9.1%. Looking back at the previous NFP reports, I noticed that this is actually the worst figure we’ve seen since September 2010 when the labor market clocked in a 29,000 loss in jobs. As if that wasn’t bad enough, July’s reading was downwardly revised from 117,000 to 85,000. I dug a little deeper into the data and I found out a few interesting stats. First, I noticed that the government continued to lay-off employees. Although the job loss was more modest with only a 17,000 contraction in August compared to the 71,000 decline we saw in July, it’s troubling to see that public sector employment continued to drop. Hmmm, I wonder how President Obama would explain that. On a slightly better note, corporate America added 17,000 people in the labor pool. It’s not as big as the 156,000 gain we saw in July though, as the service sector only generated 20,000 jobs after hiring 104,000 people in July. Some attribute the sudden dip in hiring to the Verizon strike last month, which cost the U.S. a total of 45,000 jobs. However, this was partially offset by the return of roughly 23,000 public employees in Minnesota after a partial government shutdown. Crunching the numbers, the U.S. should’ve ended up with a net increase of more than 20,000 jobs for August. If there’s one thing we can conclude from the recent jobs slowdown, it’s that businesses are being extremely cautious. And who could blame them? They have every reason to delay hiring considering how the global economy has been facing several headwinds, from sovereign debt problems to threats of a double-dip recession. The pressure is already mounting for U.S. President Obama since he is running for re-election next year. Now the report just makes it all the more difficult for Mr. President to fulfill his promise of job creation. To keep the U.S. employment market from crumbling, Obama already appointed labor expert Alan Krueger as head of the White House Council of Economic Advisors. On top of that, the incumbent president is also considering more infrastructure spending, tax incentives to spur hiring, a reduction of payroll taxes, and changes to unemployment insurance to fund worker retraining. The sad news is that these measures would probably not be enough, and the Fed might have no choice but to implement QE3 to keep the U.S. economy afloat. While another round of stimulus could eventually get hiring back in full swing, it would most likely have a negative impact on the U.S. dollar. Sure, EUR/USD traded lower after the initial spike at the wake of the report because the Greenback still has its safe-haven appeal to rely on. However, it could only be a matter of time before old school fundamentals dominate price action and trigger a huge dollar sell-off. What do you think would be the long-term effect of the August NFP report on the dollar?